The GearWrench Deluxe Feeler Gauge measures clearances from 0.0015 to 0.035'' (0.038 to 0.889mm), includes one 0.010'' brass blade to use with electronic ignitions, and have blade lengths that are 3 5/16'' long and have a 1/2'' blade width. 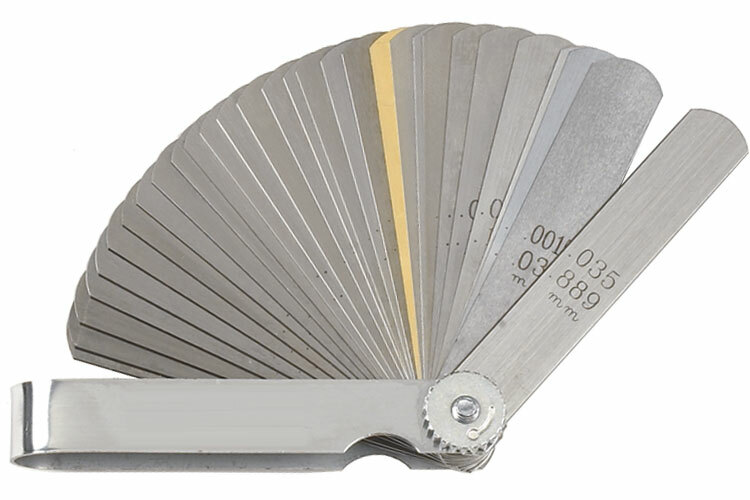 The 161D GearWrench Deluxe Feeler Gauge is one of thousands of quality tooling products available from MRO Tools. Please browse GearWrench Feeler Gauges for tools similar to the 161D GearWrench Deluxe Feeler Gauge. 161D GearWrench Deluxe Feeler Gauge description summary: GearWrench deluxe feeler gauge. 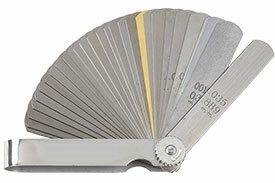 Quantity discounts may be available for the 161D GearWrench Deluxe Feeler Gauge. Please contact MRO Tools for details.